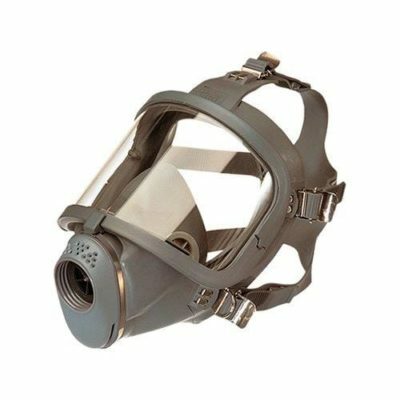 This page presents information about ammonia (NH3) – also known as hydrogen nitride: characteristics, effects on health, detection tools &amp; systems – ammonia detector – and proper respiratory protective equipment (gas mask or powered air purifying respirator with K gas filter). Ammonia (NH3) – or hydrogen nitride – is industrially synthetized from nitrogen (N) and hydrogen (H2) using a catalyst (Haber-Bosch process). This substance is a key element for producing fertilizers and is used in the cooling industry. When dissolved into water, ammonia is used to produce household products. 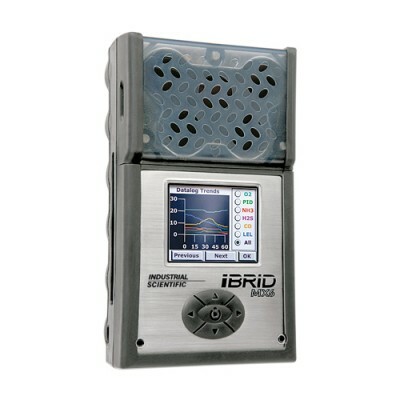 it is also exploited in the textile industry and for many other applications. 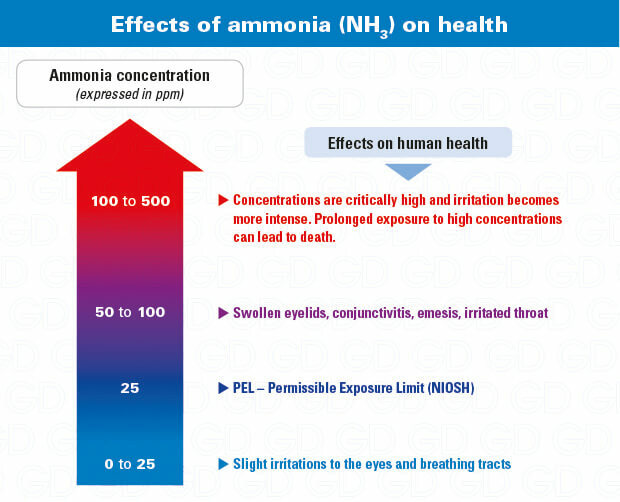 Above all ammonia is toxic (even at low concentrations) and very irritating to the eyes and breathing tracts. It can be easily detectable through smell with its pungent and asphyxiating smell. 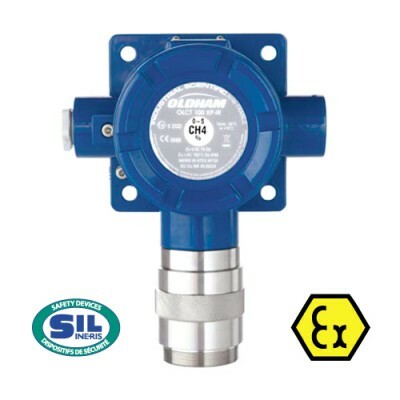 This gas is also flammable and explosive between 15 and 28% volume. 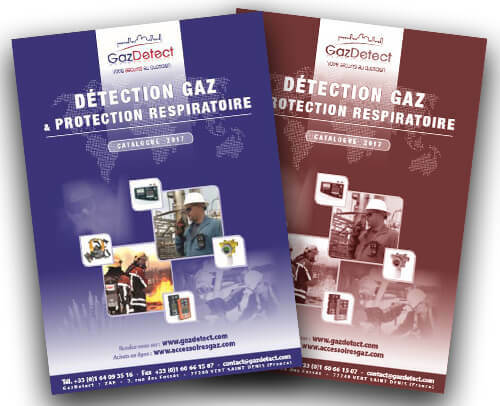 If it enters in contact with other substances like halogens, mercury or acetaldehyde, explosive reactions can occur. 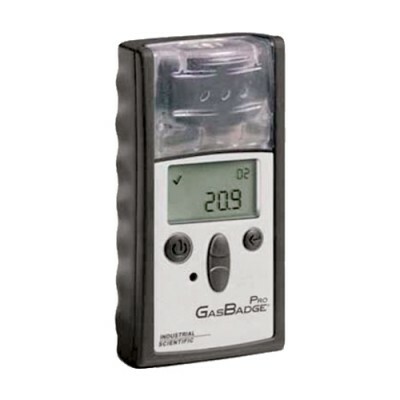 Even if NH3 is detectable through smell, only an ammonia detector can accurately measure concentrations of this gas. 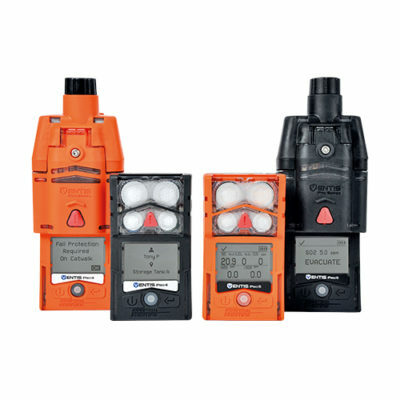 Two ammonia detection methods are available: either in toxicity with a ppm measurement, or in explosive potential with LEL percentage measurement (combustible gas detector). 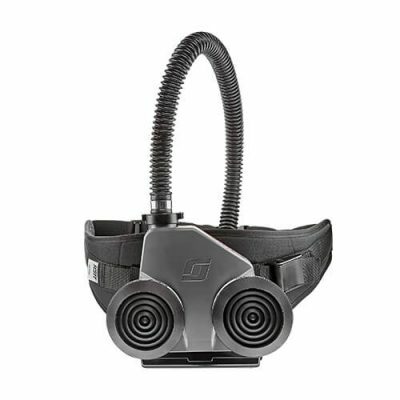 As this gas is very irritating to the eyes, workers have to wear an ammonia respirator like a full-face mask for short term applications or a more comfortable powered air purifying respirator equipped with a K gas filter. 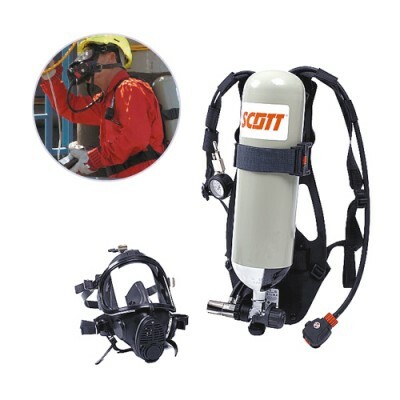 If concentrations exceed 60 times the OEL, a self- contained breathing apparatus is required.